Congratulations to the whole Family from A.P.F Administration. Thanks Heaps , To APF and everyone involved . We Really loved the online comp . 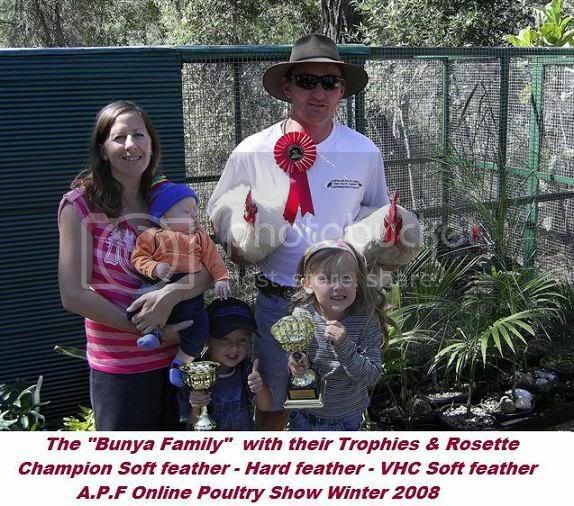 You've certainly inspired the next generation into a whole new era of showing poultry Thanks heaps for the beautiful prizes , and the great effort put in by both of the judges . We appreciate how hard it truly must have been . Thanks again . Ian , Rachel , Ella , Marshall & Rainer . Love the picture mate:-D are the other winners going to follow suit??? ?